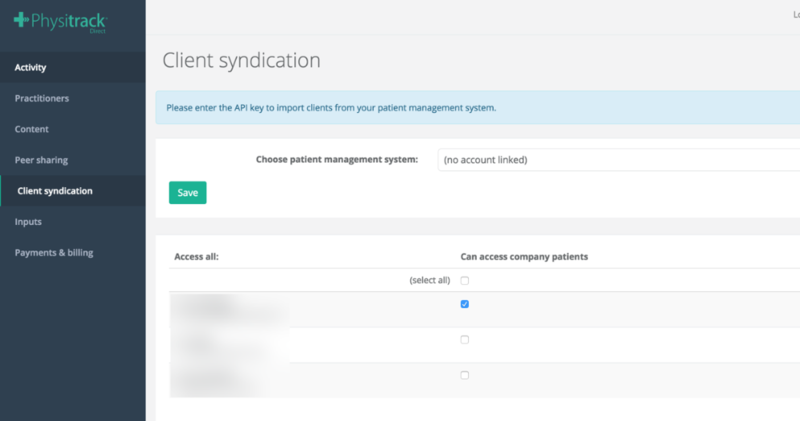 Choose the patient management system that you want to syndicate the clients from (please contact sales@physitrack.com if your system is not listed). Enter the API key for the chosen system and press Save. Select the practitioners that should have access to the syndicated clients. Every 24 hours, new clients will automatically be imported from your patient management system.